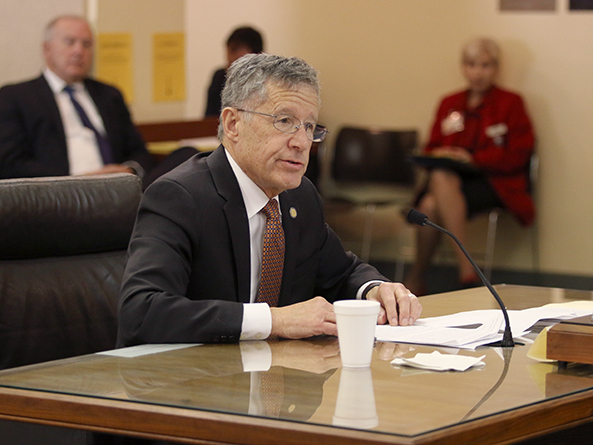 Members of the Judiciary Committee heard testimony Jan. 18 on a bill that would preserve an inmate’s communication access. Under the bill, each jail could establish a prepaid or collect telephone system, or a combination of both. Inmates’ family members could deposit money into a prepaid account with the third-party provider of telephone services to cover the cost of the call. Any company contracted by a jail to provide such services would be prohibited from charging excessive service rates or commissions. 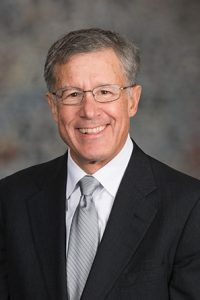 McCollister said research has shown that regular contact between inmates and their families and attorneys leads to lower rates of recidivism upon release. “Maintaining contact with parents, spouses and children strengthens an offender’s chances of being rehabilitated and improves outcomes for the children left at home,” he said. Nearly one in 10 Nebraska children are impacted by parental incarceration, said Voices for Children Policy Director Julia Tse in support of the bill. The bill would ensure phone calls or video conference sessions between an inmate and an attorney are free of charge. Monitoring or recording of such communication would be prohibited. Public Defender Ben Murray spoke in support of the bill. He said 59 phone calls between him and his client were improperly recorded and shared with the prosecution. Establishing trust already is difficult, Murray said, but it is almost impossible to do when jails record calls between an attorney and a client. Juneal Pratt, formerly incarcerated, also supported LB776. Maintaining a connection to the community is imperative to easing an inmate’s post-release transition, he said. Speaking in opposition to the bill, Douglas County Corrections Director Mark Foxall said his agency would experience a loss of $616,000 annually. The loss of revenue would negatively impact the ability of Corrections to provide programming to inmates, including job and life-skills training, GED testing and job-readiness training. “Our inability to serve the programming needs of our inmates could impact the population of the state Correctional System due to recidivism,” he said.